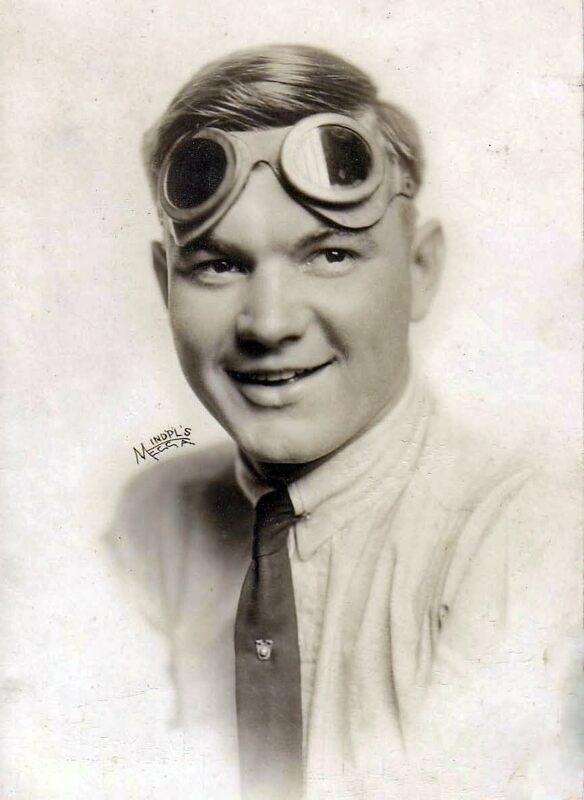 Larry Synder has forwarded photos from his family albums of his great-uncle Joe Dawson who participated in the Vanderbilt Cup Races and the Indy 500 Races. Congratulations to Arejan Bos, Randy Reed, Art K., and Steve Lucas for correctly identifying Dawson who participated in the 1910 Vanderbilt Cup Race and won the 1912 Indy 500 Race. If you wish to submit a Mystery Foto, please email them to me at Howard@Kroplick.com . 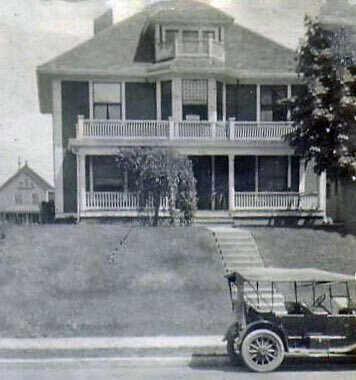 Joe Dawson's Indianapolis home. Does anyone know the year and make of the car in front? 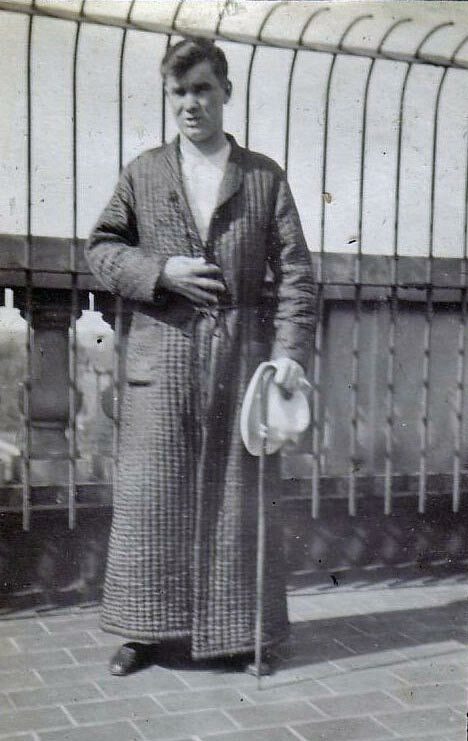 Ariejan Bos estimates 1910. 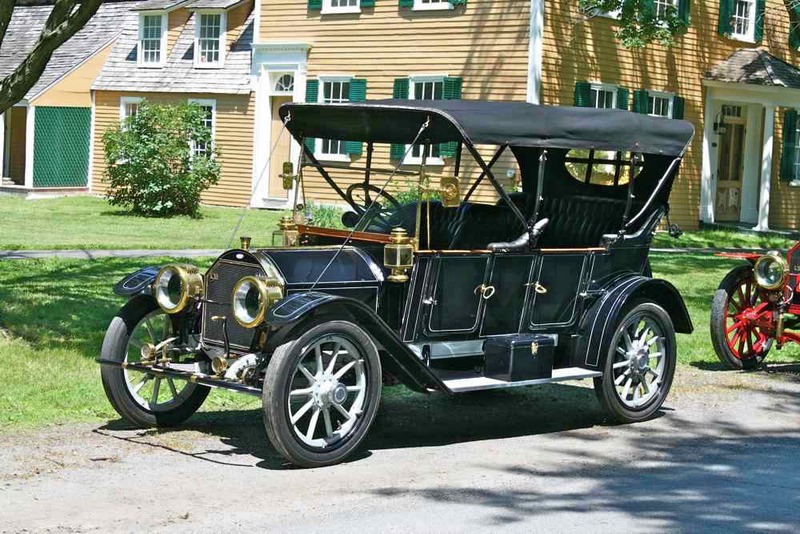 Update: Contributor Hugh M: "I think the Dawson car is a 1910 to 1912 Marmon. They had very large rear hubcaps. It is a toy tonue body style also popular on Cadillacs of the era." 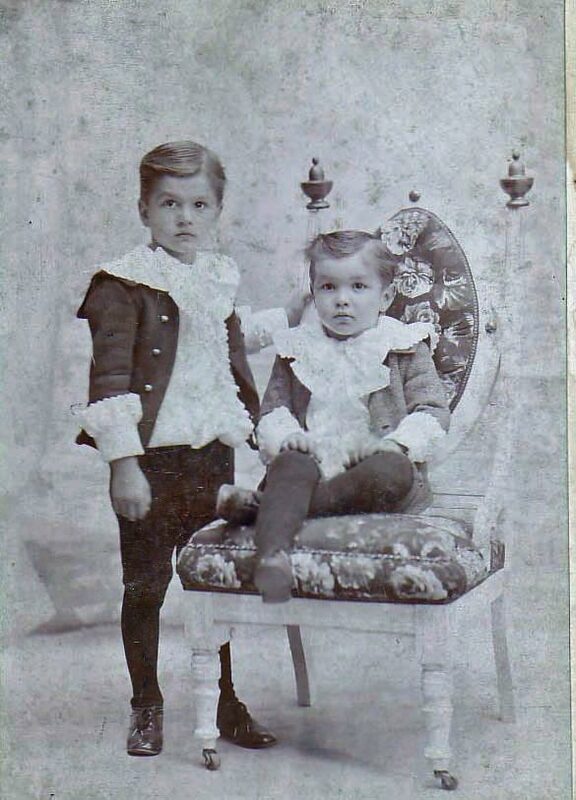 Joe Dawson (right) and his older brother Charles in 1892. Dawson's official Indy photo. Dawson rehabbing from a racing accident during the 1914 Indy 500 Race. 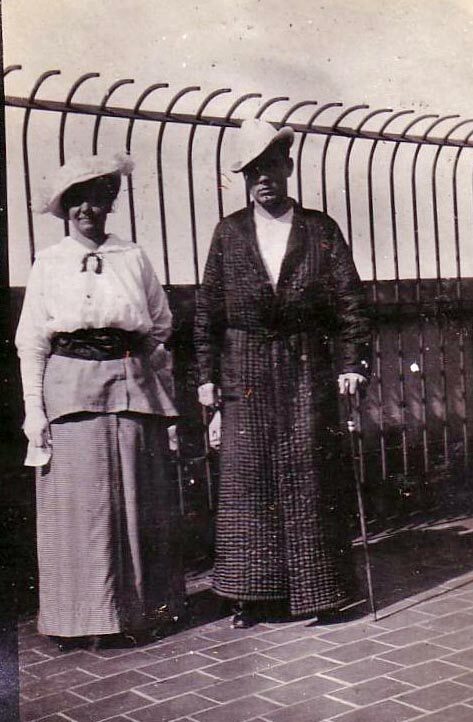 With his mother Clara. 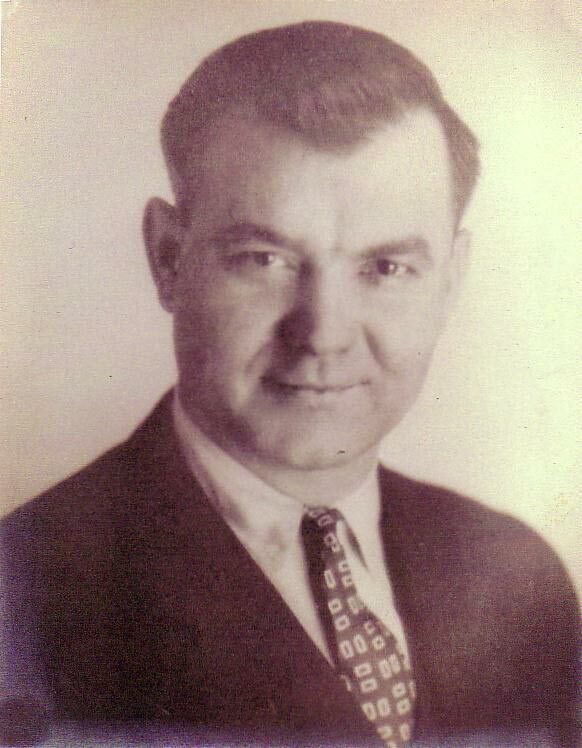 In the 1920s. 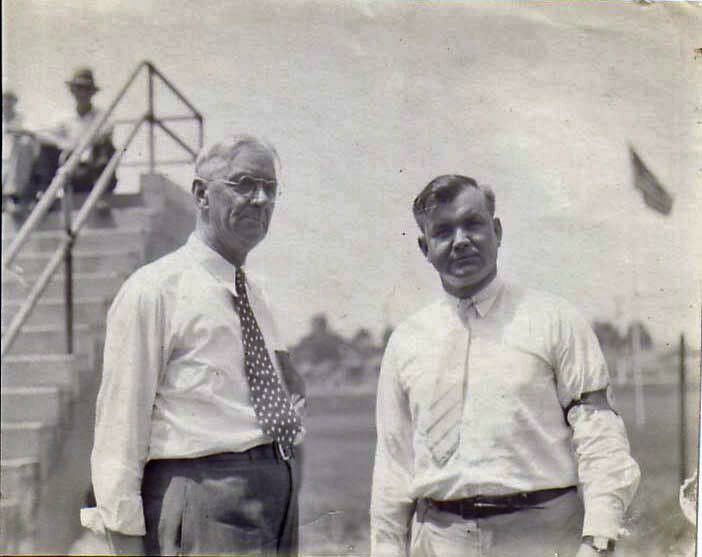 Joe Dawson and his father at a race track in the early 1930s. 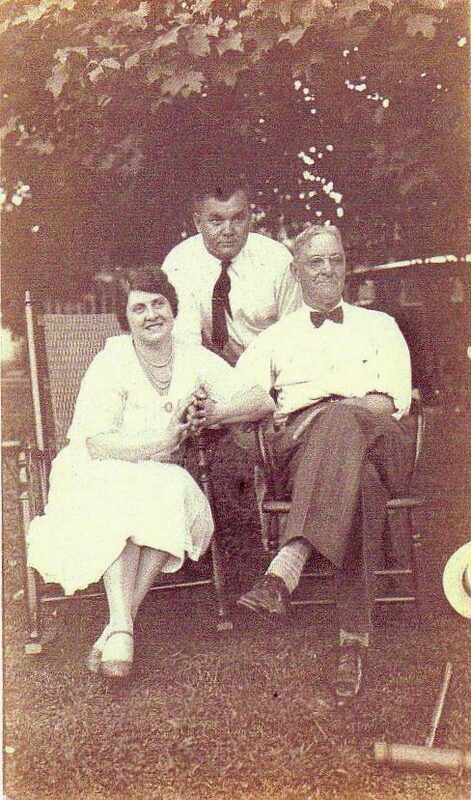 Dawson surrounded by his second wife and father. 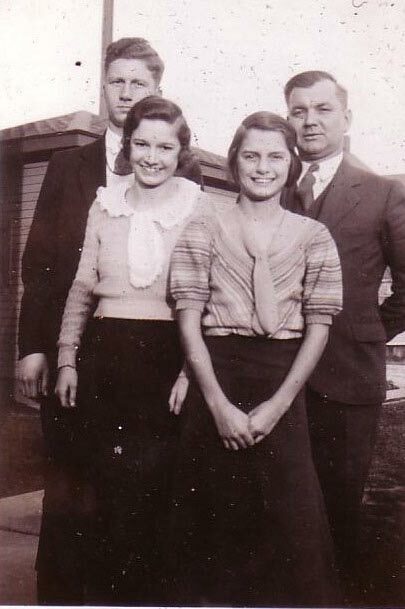 Dawson (right) with his nephew and two nieces in 1933. 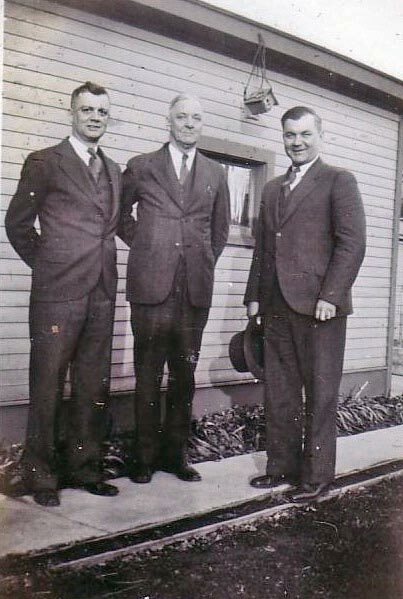 From right to left: Joe Dawson, his father and his brother Charles in 1933. The driver is Joe Dawson. During the 1914 Indianapolis 500 Mile race he was involved in an accident, causing a broken collar bone. I don’t know why he uses the walking-stick, maybe he suffered from other minor injuries? P.S. I have to admit that I always find myself an intruder in someone’s private life with this kind of family photos! Looks like it may be Joe Dawson. He drove a Marmon to 2nd place in the 1910 Vanderbilt Cup. 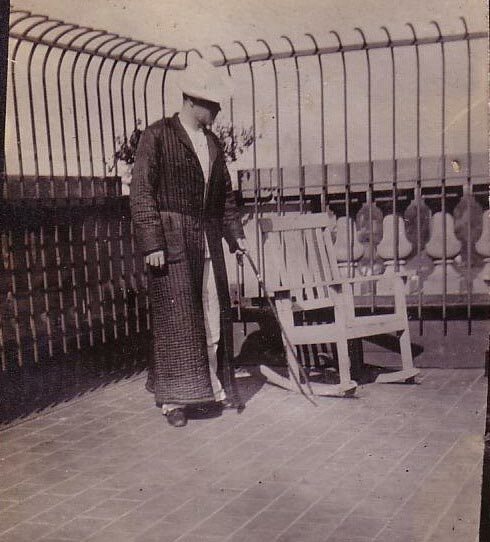 The photo appears to be Joe Dawson, the 2nd. place finisher in the 1910 Vanderbilt Cup and 1912 Indy winner. 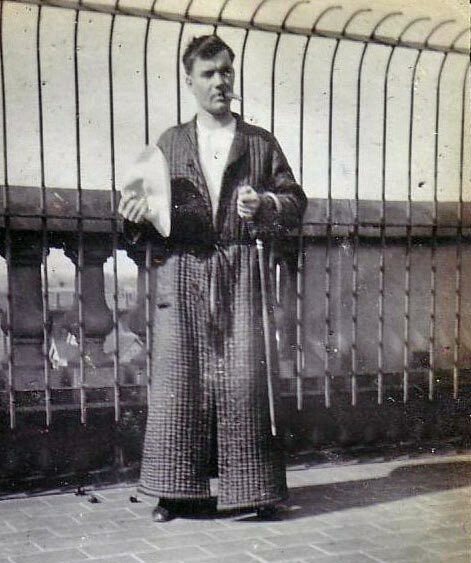 Joe was variously reported to have broken his collar bone, fractured five vertebrae (hence the cane), and suffered either “internal injuries” or a ruptured kidney. W.F.Sturm, writing in 1929 reports that he wore a back brace for a year following. I wouldn’t worry about intruding—the last of those pictured here died in 1993, and those of us who remember them are pleased to share the images.